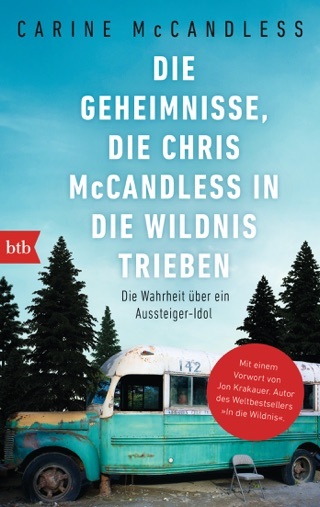 Twenty years ago, Jon Krakauer wrote in Into the Wild the stunning story of Chris McCandless, a young man who walked into the Alaska wilderness and starved to death. At the time, Krakauer spoke with Chris's sister, Carine, who allowed Krakauer to read Chris's letters, but asked the author not to print them. Two decades later, in this fiercely honest and gripping memoir, Carine shares many of these letters and candidly reveals the harsh and violent family in which the two grew up. The siblings' father constantly berated and physically abused his young wife, and, as young children, Chris and Carine comforted each other the best they could. "Our parents hurt us constantly, but they were our parents. We wanted to believe the warm moments showed who they genuinely were, not just another part of the show they put on." Chris eventually found freedom when he took off on his own in the year following high school graduation, and before he entered Emory his father demanded to know Chris's plans for the summer, but Chris refused, making the threats fell empty. When Chris headed off on his post-college journey, he left Carine to cope with her parents, and to stake out her own life. In the end, this is Carine's story. She honestly shares her successes and failures in work and relationships as she comes to the realization that she has tried to find in adult life what was lacking in her childhood: worth, strength, and unconditional love. This book is excellent...At times very sad, but it has great parts. It awakened me what we're on this planet for: each other, the gift of love, family, the gift of giving.... 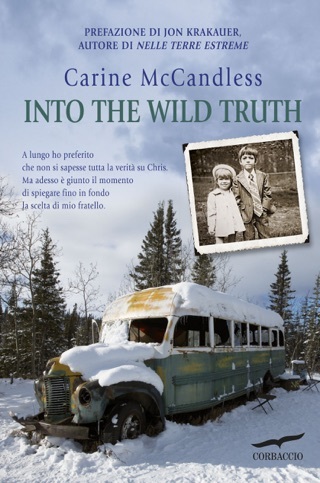 It's amazingly written by Chris McCandless' sister and has since been made into a movie starring Sean Penn which I haven't seen. I would recommend this book to all of my friends. I've always been a fan of Into The Wild. I think I've read it a dozen times. When the movie surfaced I began asking how much of the movie was real because so much of it was not in the book. 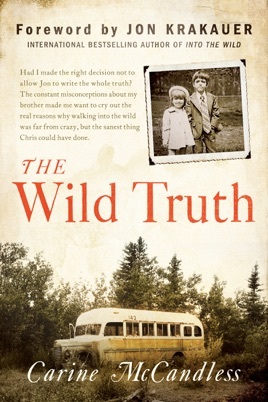 I felt a sense of much awaited answers after reading The Wild Truth. Things seemed to click and make sense. Overall, I think that Carine and her siblings ability to forgive what seemed to be endlessly the woes of their father and Carine's mother is strengthening. I often find my relationships with a parent rather difficult to manage at times. The resilience glowed through onto the pages and I have a great amount of respect for all the McCandless children. Thank you for this book. It tied loose ends and helped resolve something for me. Compelling read - finished book in 24 hours.